I mentioned in my easy pita bread recipe that my two toddlers actually like to eat hummus. Given that they hardly go for kid-friendly condiments like ranch and ketchup, I was as shocked as could be when both Haiden and Piper gobbled up hummus samples at Costco. After buying a couple of giant tubs of hummus (sizes of which you can only find at Costco), I figured that I could make an even healthier hummus at home. My first attempt was a success; my kids, my husband and I ate it within days! I'm so happy that I've found a healthy, bean-based food that helps me feel like my picky kiddos are getting at least some fiber and protein in their diets! 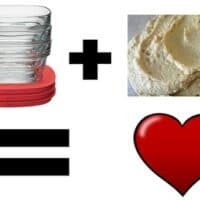 Looking for a fabulous Hummus recipe or a printable coupon for Rubbermaid Glass containers? Continue reading and find what you're looking for at the end of this post. If you're a regular reader of this site, you might have realized that I'm trying to expand my kids' taste horizons by making new and different things at home. I always naturally gravitate toward making large quantities of everything, but food storage has become a concern for me. After all the talk of BPA in plastic containers, I worked hard to clear out my cabinets of almost anything that could contain BPA. Then I heard that BPA-free plastics can still leach hormone-like chemicals into the food they contain and I felt like I couldn't win! Right now, I'm still using high-quality, solid plastic containers for a lot of of my food storage, but I've vowed to try to find a better, safer alternative. Happily for me, Rubbermaid recently came out with a new line of glass storage containers. It was so fitting that they contacted me and asked me to try them out, since I'm welcoming any opportunity to move away from putting food in plastic containers. The tempered glass is made to withstand freezer temps and temperatures up to 425 degrees. It's also microwave safe! The lids are made to snap together and to the bottom of the glass containers, making them easy to store and find. The containers and lids are both dishwasher-safe. The lids create a leakproof seal that make the containers ideal for transporting foods to other places. The glass makes a far more attractive serving dish than a plastic container. The only thing I don't care for is that there's still plastic in the lids. That plastic creates a window so you can see the contents from the top of the container. I can see that it might be risky to have a glass window, but I'd rather have a solid rubber cover rather than plastic. Want to buy Rubbermaid Glass Containers? All in all, I'm loving that I can store food for my kids in glass containers and not worry about leaching chemicals from plastics! I made a big batch of hummus recently and stored it for nearly a week in a Rubbermaid glass container in my fridge. Let me tell you, it stayed as fresh as the day it was made until the day I scraped the last bit from the container! 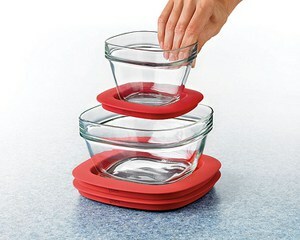 The Rubbermaid Glass line is available in a set of 8 pieces (4 containers + 4 lids) for the regular retail price of $25.99 on Rubbermaid's website. Amazon is currently selling the same Rubbermaid set for $22.97. You'll get free shipping if you spend $25 or more. Rubbermaid Glass containers are also available to buy at Target, Walmart and grocery stores. Save money! Use this Rubbermaid printable coupon to save $1.50 on any Rubbermaid Glass container. I didn't forget to share this kid-friendly food idea with you! This is a great, easy recipe for hummus. I love it, and so do my kids and husband! Drain beans and reserve liquid from the can. 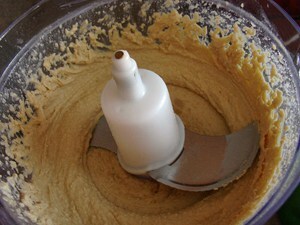 Put beans, tahini, lemon juice, garlic and 1 teaspoon of olive oil in a food processor or blender. Process mixture until it's as smooth as you can get it. Add the reserved garbanzo bean liquid to the mixture until you achieve a smooth but thick consistency. Transfer hummus to a bowl and drizzle with the remaining teaspoon of olive oil. Store prepared hummus in an airtight container in the refrigerator for up to 7 days. Disclosure: I was not paid for any part of this post and my 100% honest opinions were expressed. Thanks to Rubbermaid for providing the 8-piece set of Rubbermaid Glass containers to facilitate the product review! I really want these containers! I have a bit of a container obsession and I love these! Thanks for sharing the great Hummus recipe! I have been eying those – I think I’ll get them!! …and that looks yummy! I have some of the same containers and I LOVE them! I will have to try your recipe one day. I have never tried hummus but wanting to. I love the idea of a glass container with a tight sealing lid. I get what your saying about the plastic window, the glass is seethrough so whats the point LOL. maybe there’s something about having the lid entirely rubber that is impossible ??? These Rubbermaid Glass are the absolute best. We had left overs one night and my friend took some salad home. She refuses to give me back the container lol. This hummus sounds delish! I love these containers! I totally agree with Nichol though – they are tough to get back LOL. Great hummus recipe! I can’t wait to buy my first set! We are expecting our first child to be born sometime over the next 30 days and have gone the glass bottle route but were so happy when we heard that rubbermaid was doing glass tupperware a few months ago!!! These containers are great! There durable, dishwasher safe and space saving! I really need to get a set. Thanks for the tips on where to buy them. Love to win the Rubbermaid Glass containers. I have been using every other glass container. Would love to try Rubbermaid. I love glass over plastic….def less staining with sauce!!! and more presentable! I would Love to win the Rubbermaid Glass containers. My favorite part about them is that you can bake in them. Thanks for all the great tips. 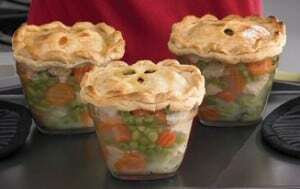 I would love to see how these compare to my beloved pyrex. I have always wanted glass containers also. Plastic is not the way to go. I would love to win these. I have the hard plastic rubbermaid containers and they are beginning to crack over time. Love love love these glass containers…they are sturdy and don’t stain! I just got this glass container. I was trying to search what number plastic the lid is and I found your article. 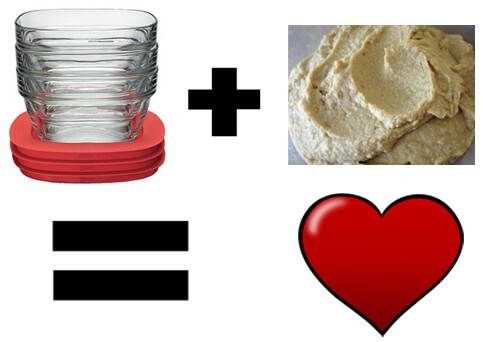 Great hummus recipe! However, I don’t use canned foods because almost all of them also contain BPA!